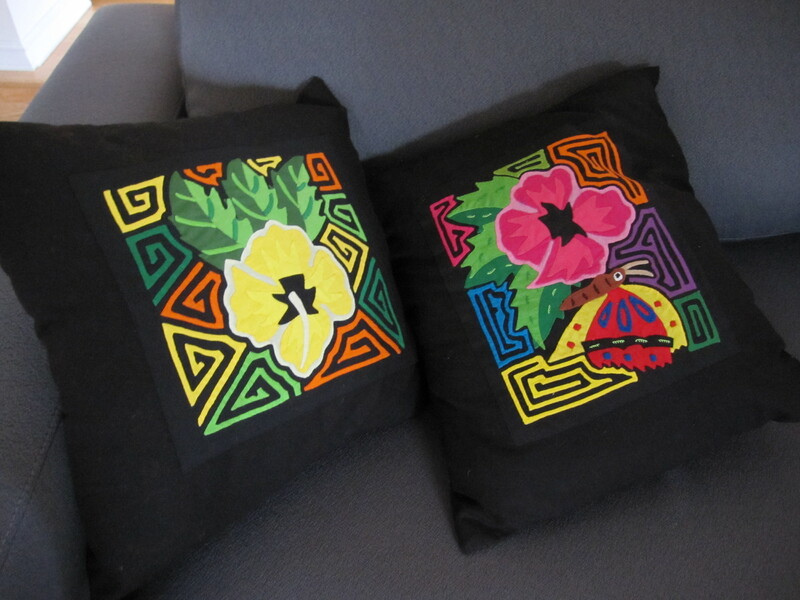 Here are some cushions I made from some molas (reverse-appliqued fabric panels made by the Kuna in Panama) from panels I bought in Panama a few years ago. 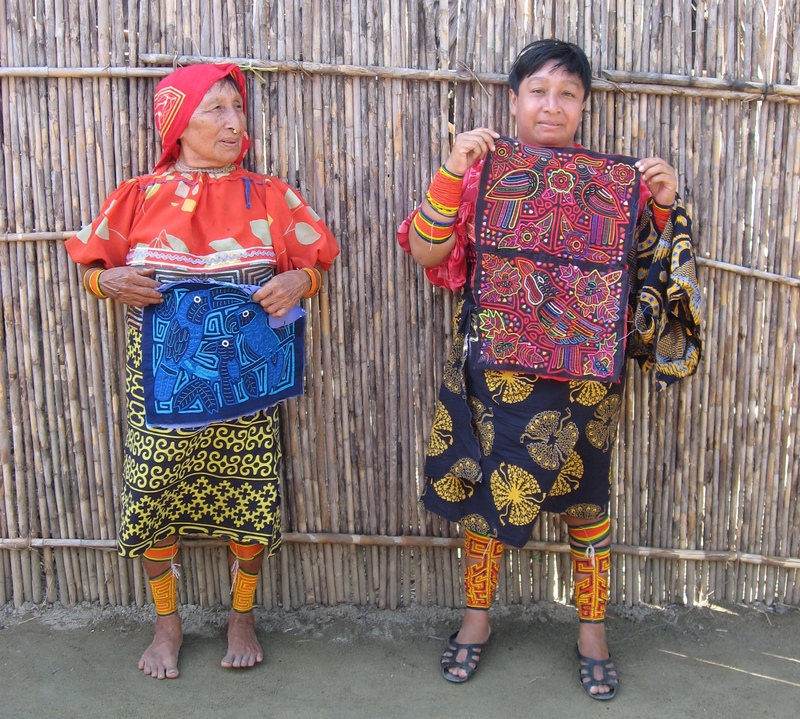 I searched for blogs on “molas”. Here is a very nice collection of framed ones. I must try to go to the Textile Museum of Canada next time I’m in Toronto. The photo of the Kuna women was taken during one of my hilarious adventures that I’ll write about some day.